Dr. Allen S. Lefohn, President and Founder of A.S.L. & Associates, LLC, received his Ph.D. in physical chemistry from the University of California at Berkeley. He received his Ph.D. under Professor George C. Pimentel, who was a great scientist and a great mentor. Dr. Pimentel encouraged his students to look beyond the obvious. In the spring, summer, and fall, Dr. Lefohn cycles. In the winter and spring, he is an avid skier - both alpine and cross country. When time permits, he is active on the amateur radio frequency (ham) bands with the call letters KA7M. Over the past 50 years, Dr. Lefohn's research has involved many areas, such as the evaluation and assessment of ambient air quality standards, reference levels, Air Quality Related Values (AQRVs), and critical levels for the Tribal governments, as well as several national and international governments; the assessment of adjustment procedure models for developing alternative scenarios for the United States and Canadian air polluti on rulemaking processes; the analysis of air quality data for developing exposure-response mathematical relationships for assessing the effects of air pollutants on vegetation and human health; the development of exposure/dose-response relationships describing the effects of ozone and sulfur dioxide on vegetation; the evaluation of the statistical methodology associated with epidemiological studies relating air pollution to human health effects; the evaluation of alternative forms and levels of human-health standards; the development of hourly exposure regimes for controlled human health laboratory studies; the development and application of spatial interpolation techniques for estimating seasonal ozone cumulative exposures; the characterization of European and North American air quality and wet deposition data for the purpose of assessing possible reasons for forest decline; the development of field surveys to assess the effects of sulfur dioxide on agricultural crops; and the analysis of acidic deposition wetfall and effects data to better assess the potential for biological effects. Dr. Lefohn has focused his research efforts on understanding (1) the quantification and relationship between pollutant exposure and naturally occurring processes and (2) the possible effects of air pollutants on human health and on the ecosystem. He is the editor and author of the popular book Surface-level Ozone Exposures and Their Effects on Vegetation published by Lewis Publishers, Inc., Chelsea, MI. He has extensive international experience in the evaluation and assessment of ambient air quality standards, air quality objectives, AQRVs, and critical levels. Some of his most recent activities involve developing a mathematical relationship between ozone exposure and dose and their effects on vegetation and human health, better understanding the variability of natural background ozone levels and its effects on attaining human health and vegetation standards, designing the ambient-like ozone exposure regimes for the major controlled laboratory human health experiments (i.e., FEV1 experiments) currently being used in the standard-setting process by the US EPA, developing and evaluating models for assessing alternative scenarios for the United States and Canadian air pollution rulemaking processes, exploring the scientific rationale for explaining the "piston" effect, which affects the ability to attain the 8-hour ozone standard, and evaluating the possible effects of surface ozone on trees in the southern Appalachian Mountains. In addition, he has focused his attention on particulate matter and the strengths and weaknesses of the current scientific database. Several of his papers represent important contributions to the research literature. In the 1980s and 1990s, Dr. Lefohn published many papers associated with characterizing ozone and other air pollutants, as well as the importance of the higher hourly average concentrations and their effects on vegetation. The W126 exposure index, which was considered as the US Federal vegetation standard three times, was described in his papers in the late 1980s. In 1999, a paper that summarizes the results of his effort in directing an international research team to develop and apply a protocol for assessing global estimates of sulfur emissions from 1850 to 1990 was published in Atmospheric Environment. In December 1999, the sulfur emissions work was featured on the Voice of America. The sulfur emission estimates associated with this work are used today in global change models. In May 2001, Dr. Lefohn and his co-authors published an important paper discussing background ozone and the importance of natural processes in the Journal of Geophysical Research. In the early 2000s, his papers focused on surface ozone trands at remote monitoring sites across the world and a critical review of exposure- and dose-based indices for assessing ozone vegetation effects. In 2007, Dr. Lefohn's paper with Dr. Milan Hazucha of the University of North Carolina described results from controlled laboratory exposures of human volunteers that indicate that higher ozone hourly average concentrations elicit a greater effect on hour-by-hour physiologic response than lower hourly average values, which implies a nonlinear dose-response relationship. These results were similar to his previous results for vegetation effects. In 2008, Dr. Lefohn's papers focused on background ozone levels entering the west coast of the United States and characterizing long-term changes in surface ozone levels in the United States. In 2009, Dr. Lefohn and his colleagues published an important paper explaining the biological reasons for the nonlinear relationship between vegetation responses to ozone and exposure and dose. The paper describes how uptake of ozone into the plant, ozone exposures, and defense processes relate temporally to one another. These three processes appear to be out of phase with one another. It is the out-of-phase relationship that explains why the higher hourly average concentrations of ozone are more important than the mid- and lower-levels. In 2010, Dr. Lefohn published three important papers with his research colleagues. The first paper dealt with the long-range transport of emissions associated with biomass burning in Eurasia and how these emissions affect surface ozone levels across the western US. The paper is an important contribution to those who are interested in the subject of background ozone. The second paper is an important contribution to those interested in alternative human health ozone standards that might be more appropriate than the current 8-h average concentration that is currently used as the US human health ozone standard. Dr. Lefohn was joined in this research by Drs. Hazucha and Adams, and Mr. Douglas Shadwick. The paper goes beyond the focus on an alternative form and level of the human health standard by detailing the common response, induction, response, and recovery (i.e., reversal) phases, observed across most of the key studies described. The paper is relevant for those policymakers and scientists who have concerns that the 8-h human health standard may not be attainable due to natural background ozone levels. The W90 exposure index proposed in the paper may be a rational approach for overcoming the problems associated with the natural variability of natural background ozone. The third paper described the latest trends analysis by Dr. Lefohn and his colleagues on surface ozone for the period 1980-2008 and 1994-2008 for metropolitan and rural areas in the United States. The mathematical problem of how to deal with a changing rate of trends is discussed in the paper and examples are provided. Papers in 2011, 2012, and 2014 dealt with applying the LAGRANTO trajectory model to estimate the importance of stratospheric ozone in affecting surface ozone concentrations. His current work continues to focus on the use of the LAGRANTO trajectory approach with various models to estimate the importance of stratospheric and background ozone, as well as the different behavior of human health and vegetation exposure metrics as a function of surface ozone trends. In 2017, Dr. Lefohn published an important paper with several international investigators dealing with the behavior of various human health and vegetation exposure metrics and how they behave differently in trends analyses due to their dependence on different parts of the distribution of hourly average ozone concentrations. Dr. Lefohn is currently on the Steering Committee of the international research effort, Tropospheric Ozone Assessment Report (TOAR). The goal of the project is to provide the international research community with an up-to-date scientific assessment of tropospheric ozones global distribution and trends from the surface to the tropopause. The list of TOAR metrics is available on our site. Besides serving as a Steering Committee member, Dr. Lefohn is the lead author of a TOAR paper published in 2018. The TOAR paper, Global Ozone Metrics for Climate Change, Human Health and Crop/Ecosystem Research, is available at: https://www.elementascience.org/article/10.1525/elementa.279/. For specific information concerning Dr. Lefohn's research activities and findings (including papers published in 2019), please visit the publications section of this web site. To learn more about our previous trends analyses, please click here. The biologically based W126 cumulative exposure index developed by Dr. Lefohn in 1985 has been continuously discussed as a possible standard to protect vegetation in the United States The EPA's Clean Air Scientific Advisory Committee (CASAC) recommended in August 2006 and in January 2007 by EPA Staff to the Administrator as a possible ozone standard to protect vegetation. In June 2007, the EPA Administrator proposed the W126 exposure index as the secondary ozone standard. On March 12, 2008, the EPA Administrator made the final decision to revise the 8-hour "primary" ozone standard, designed to protect public health, to a level of 0.075 parts per million (ppm). The vegetation standard was set at the same level as the human-health related 8-hour ozone standard. In May 27, 2008, health and environmental organizations filed a lawsuit arguing that the EPA failed to protect public health and the environment when it issued in March 2008 new ozone standards. On March 10, 2009, the US EPA requested that the Court vacate the existing briefing schedule and hold the consolidated cases in abeyance. EPA requested the extension to allow time for appropriate EPA officials to review the Ozone NAAQS Rule to determine whether the standards established in the Ozone NAAQS Rule should be maintained, modified, or otherwise reconsidered. On September 16, 2009, the EPA announced it would reconsider the 2008 national ambient air quality standards (NAAQS) for ground-level ozone for both human health and environmental effects. The Agency planned to propose any needed revisions to the ozone standards by December 2009 and issue a final decision by August 2010. In January 2010, the EPA announced its proposal to strengthen the national ambient air quality standards for ground-level ozone. The EPA's proposal decreased the 8-hour primary ozone standard level, designed to protect public health, to a level within the range of 0.060-0.070 parts per million (ppm). EPA proposed to establish a distinct cumulative, seasonal secondary standard, referred to as the W126 index, which was designed to protect sensitive vegetation and ecosystems, including forests, parks, wildlife refuges, and wilderness areas. EPA proposed to set the level of the W126 secondary standard within the range of 7-15 ppm-hours. The proposed revisions resulted from a reconsideration of the identical primary and secondary ozone standards set at 0.075 ppm in March 2008. Although the EPA indicated that it would announce its decision in August 2010, on August 20, the Agency announced that it would delay its final announcement to on or around the end of October. In early November, the EPA announced that it would reach a final decision on the ozone standards by December 31, 2010. On December 8, the EPA announced that it would delay its final decision on the ozone standards until July 2011. EPA announced on July 26 that it would not make a decision on the ozone standards by its previously announced deadline of July 29. On September 2, 2011, President Obama requested that the EPA withdraw its proposed revisions of the ozone standards. The EPA continues to support the use of the W126 exposure metric as an indicator for vegetation effects caused by ozone. However, for standard-setting purposes, on October 1, 2015, the EPA Administrator announced that she set the human health and vegetation ozone standards at an 8-hour standard level of 70 ppb. She used the 8-hour exposure metric as a surrogate for the W126 exposure index for vegetation because she believed that the 8-hour average exposure metric could protect against a 3-month cumulative W126 exposure at or above 17 ppm-h. The EPA continues to use the W126 as an indicator of potential harm to vegetation. exposure-/dose-response, air quality characterization, and background ozone. In 1993, Dr. Lefohn participated in a UN-ECE Workshop on Critical Levels for Ozone held in Bern, Switzerland, where he was invited to be one of the keynote presenters. In November 2005, he was invited to present a keynote paper (co-authored with Dr. Robert Musselman) "The Strengths and Weaknesses of Exposure- and Flux-Based Ozone Indices for Predicting Vegetation Effects" at the Critical Levels of Ozone Workshop held in Obergurgl, Tyrol, Austria. In 1991, he was chairman of the UN World Meteorological Organization (WMO) Meeting of Experts to evaluate surface-level ozone exposures and trends at remote locations in the world. In 1989, he was the lead author of the National Acid Precipitation Assessment Program (NAPAP) State-of-Science Report No. 7: Air Quality Measurements and Characterizations for Vegetation Effects Research. His past responsibilities have included his participation as senior researcher for the EPA's National Crop Loss Assessment Network (NCLAN). In this capacity, he was responsible for characterizing ambient air quality data and comparing the information with data collected under experimental conditions. Dr. Lefohn has published over 150 peer-reviewed papers (many as the lead author) and technical reports, edited four books, presented oral papers, and participated in a number of television and radio interviews and international panel presentations. A sampling of his publications is available. For 11 years, he served as an Executive Editor of the prestigious scientific journal Atmospheric Environment. He also served as an Adjunct Professor of Environmental Engineering at Montana Tech in Butte, Montana. He served for several years on the University of California at Davis' Science Advisory Committee for the Center for Ecological Health Research. 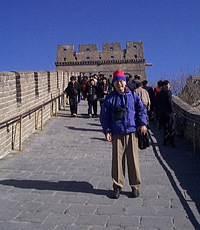 For several years he was chairman of the Advisory Committee. In May 2002, the Myrna Loy Center for the Performing and Media Arts in Helena, Montana, awarded the Heart of Myrna Loy Award to Dr. Lefohn. Dr. Lefohn was recognized as a primary volunteer across several years helping the Myrna Loy Center to regain its footing and to renew its many performing arts programs. He did this as a Board member working on helping the organization to do a critical analysis. For over 45 years, Dr. Lefohn's research has influenced the ozone standard-setting process worldwide. Dr. Lefohn continues to focus his research on the effects of surface ozone on human health and vegetation, background surface ozone and its influence on attaining national and international ozone standards, and the development of mathematical techniques which are extremely sensitive for identifying the influence of climate change on surface ozone and its effects on human health and vegetation. 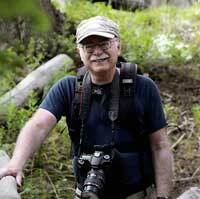 Dr. Lefohn lives in peaceful Montana with his lovely wife (who teaches Qigong). 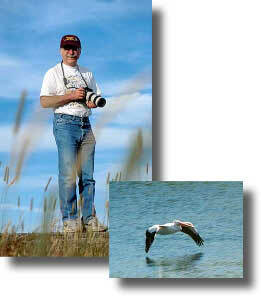 Both are avid professional photographers who continuously donate their talents to the arts. A sampling of their work can be found in the Multimedia Center web page. Their photography work has been featured across the United States and New Zealand and their creative efforts are well recognized in both local and national arts communities. Many of their photographs have been published in newspapers and national arts magazines. Dr. Lefohn was the creative arts photographer from 2003-2018 for the Helena Symphony Orchestra. A set of his photographs of the Helena Symphony Orchestra was published in Symphony magazine, a publication produced by the League of American Orchestras. A gallery of Dr. Lefohn's photographs can be reviewed by clicking here. Dr. Lefohn and his wife desire to make the world, through the arts, a much better place in which to live.